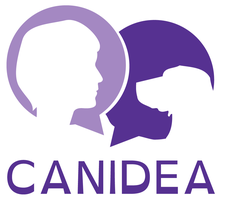 CANIDEA unite 12 non profit organizations amongst which the French Federation of guide dog schools, organizations training disability assistance dogs (hearing impaired, diabetes, epilepsy, autism...), organizations training assisted activities and therapy dogs, organizations training for and practicing animal assisted activities. The buttons below will bring you to the French pages of our members, of our board of directors and of our scientific council. If you have any questions, do not hesitate to contact us through our contact page.